With plenty of moving services, Meathead Movers is fully prepared to make La Mesa your new home. Our clean-cut student athlete movers are dedicated to fulfilling all your moving needs efficiently. Moving to La Mesa, California does not have to be stressful or overwhelming. Our professional La Mesa movers can ensure that your entire move is as smooth and efficient as possible from start to finish. Packing up and moving to La Mesa can be very exciting. La Mesa, a city with a vibrant community, rich culture, and picturesque locales can offer its residents so many things to see and so much more to do. With popular events such as Oktoberfest, Back to the 50s Car Show, Christmas in the Village, and an Antique Street Fair, residents can look forward to unforgettable experiences and fun activities all year-round. 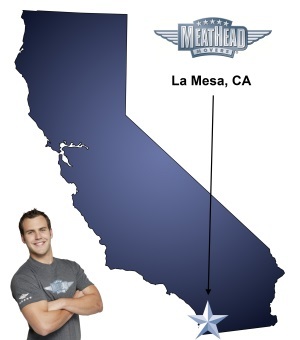 If you are considering a move to La Mesa, Meathead Movers is here to help. We are a reputable moving company that specializes in providing high-quality and reliable residential and commercial moving services. Our extensive range of services include packing, local and long-distance moving, on-site moving and storage services. We also provide a complimentary moving concierge service, which connects you with local service providers. When you choose our services, you are hiring the best in the industry. A signature aspect of our company lies in the fact that our movers are clean-cut student athletes, who are busy training rigorously in their chosen sport and studying when not assisting you. They are friendly, courteous, and professional. All our staff receives periodic training at the Meathead University. We are a drug-free and smoke-free company that takes immense pride in being active in the local community. Take advantage of our money-saving incentive programs. When you choose us for your long-distance move, our fixed pricing policy is sure to put you at ease. We also do not use consolidated trucks and you will be assisted by the same movers at both ends to ensure accountability. Our customer service specialists are available to assist you on all seven days of the week. We understand that no two moves are alike. With our customized and streamlined solutions, your move to La Mesa will be as effortless as possibly can be. Contact our experienced La Mesa movers for a free quote today at no obligation to you. Moving to La Mesa? Here are some helpful resources. View more La Mesa resources. Well first of all all the guys who came yesterday to our move where awesome, Josh, Brandon, Art, Nico, Angel and Christian were super helpful and did the extra mile to do the moving. Totally reliable, educated, good disposition etc. The only problem was surveying online and then changing the estimate at site. Totally understandable but to avoid that since I though I was very throughout with my inventory is to have a surveyor visiting the moving site in person. For that reason they couldn't finishing my job in one day and we had plans with the person that bough our home to leave by that day. Fortunately and that's why I give them 9 stars Ryan helped us finishing the job the next day. For that reason I would recommend them. They didn't leave us hanginh in there helpless. I feel like we're a bit of a special case, because the CEO himself personally volunteered to coordinate our move, in part because it was such a long distance. As such, my expectations were sky high -- and Meathead did not disappoint. Now, don't go expecting the CEO to do the same for you necessarily. But the fact that he did so for us showed us who this company is and the values of their corporate culture. Meathead thinks of themselves as the "Nordstrom of moving companies," which is a very apt analogy. Yes, they cost more than other moving companies. But in life, you usually get what you pay for, and moving is usually such a stressful experience that investing more in your moving company is most likely worth it. It was for us and we would gladly refer them to friends and family.